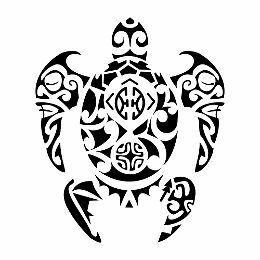 This turtle with two tiki on the front flippers for protection represents Mike´s family, with the letters "JLL" and "JCL" of his daughters on the shell surrounding a Marquesan cross that symbolizes harmony and balance. Right above it we placed the couple symbol, and the two round shapes together, one above the other, recall the shape of a twist which is a symbol of neverending union. The ani ata motif right above it symbolizes the ancestors guarding upon the family. Mountains represent stability and they shape a sun for eternity and joy. The back flippers incorporate a canoe to symbolize a sailor grandfather and a warrior for Mike´s father. 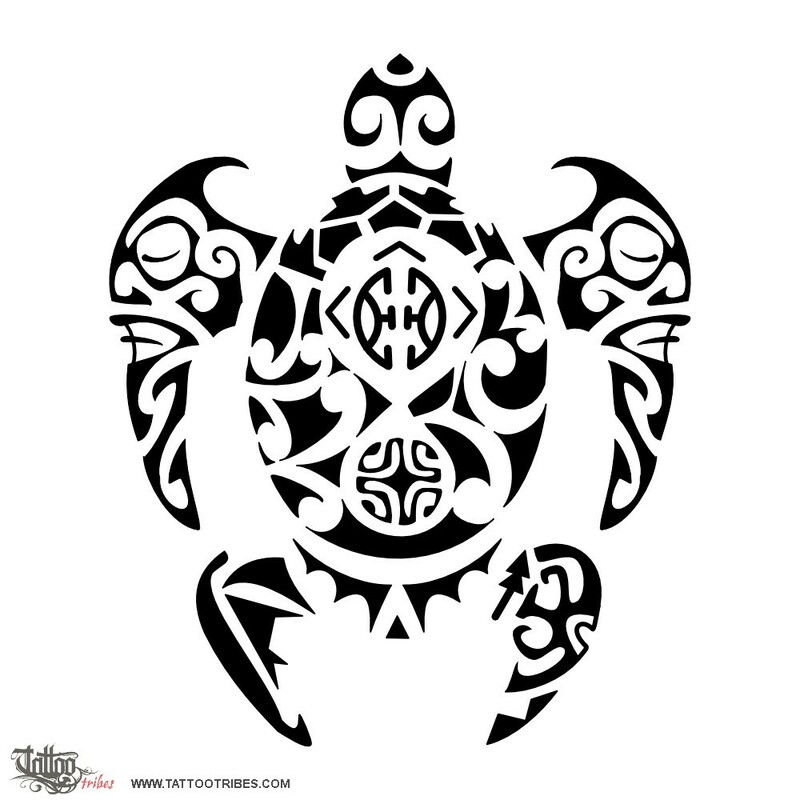 The bird shaping the head of the turtle symbolizes travelling and watching the world from a higher perspective.